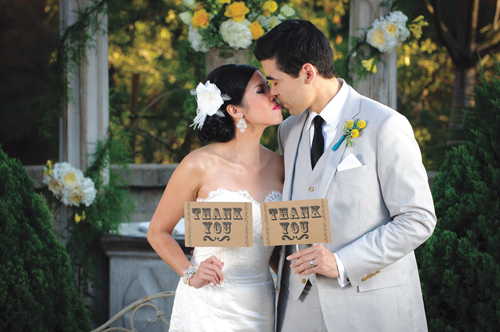 Planning and Designing Your Wedding Day! The Prado at Balboa Park is truly one of my favorite San Diego wedding venues. The Spanish style architecture of the Prado and surrounding museums makes the entire area a wonderful backdrop for any wedding–and offers such amazing photographic backdrops! I definitely have a love affair with Balboa Park for weddings! Katy & Dan fell in love with the Prado from the moment they saw it and decided it was the perfect place for their San Diego wedding! They decided to begin their day with their ceremony at less known part of Balboa Park, the Administration Courtyard Lawn. It is a large, secluded area (which present writer happens to love since she also got married there!) just across Park Blvd from Balboa Park proper. Katy chose yellows, whites, and purples for her wedding colors. The bridesmaids wore purple dresses and carried yellow and white flowers. Katy loved that contrast! For the rest of the ceremony, we opted for yellows and whites alone. We decided those perfectly created a garden look. Then for the more dramatic Prado reception, we brought in lots of purples and accented it with gold. The look created was rich and dramatic. Katy and Dan also decided to bring in a touch of an old world travel theme. Dan had been in the military and had traveled for much of their courtship. Instead of sending emails, the two of them wrote actual letters to each other througout his stints away. Those letters, and all the places they traveled around the globe, inspired our decor. Luggage tag seating cards led guests to their tables and additional tags, hung on each chair, assisted guests in finding their seats. Pink Star Design created these and postcard table numbers, featuring vintage sketches of places Dan had been or favorite spots the couple had traveled to together. 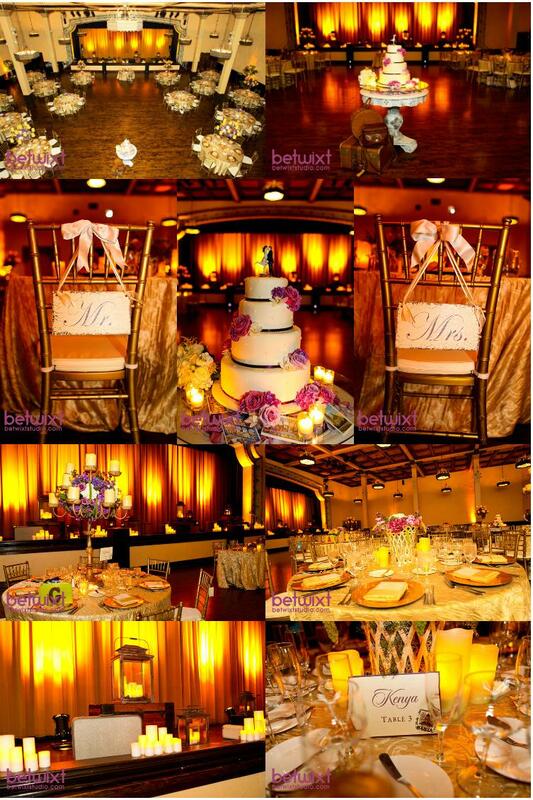 We also used tons of candles and vintage suitcases to add to the romantic setting and old world sense. And for all the children, the mother-of-the-bride set little suitcases at each of the place settings filled with crayons, stickers, and other treats. This idea is a really fun way to keep children entertained during a reception and to help them feel special! “To get the full value of joy, you must have someone to divide it with.”–Mark Twain. Katy & Dan definitely reached the full value of joy! I'm a La Jolla, California native, a graduate of La Jolla High School and an alumna of UCLA. I began event planning through non-profit work in my early 20s, later worked as a Catering Manager at the Hyatt Regency, and then began CZ Events in March of 2006. I see each event as one that involves a community of creative people. I love bringing together the expertise of various vendors and have worked hard to find those that I believe are the very best in the industry. I'm also known for my high level of organization, smiley personality, and fresh combinations in design and decor. I heart fashion and take the majority of my inspiration from the run way. Check out photos and write-ups from some of my recent weddings. I hope you like them! Enter your email address if you want to follow this blog and receive notifications of new posts by email. See some of our favorite posts! A Grand Affair at the Grand Del Mar! 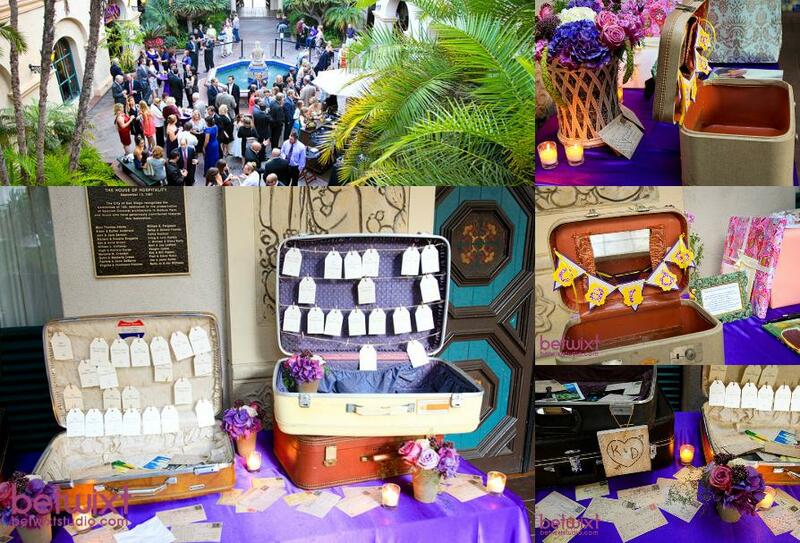 Search fof fun wedding ideas!